Bell Fruit Games is one of the UK’s most popular land-based casino manufacturers. Since their establishment in 1963, the company has been known for producing excellent slots and fruit machines throughout Europe, with a particular focus on the British market. Since then, they have become a subsidiary of Novomatic, a move that has given their games an even wider reach throughout Europe and beyond. For a very long time, Bell Fruit stuck to what they did best, focusing exclusively on the brick-and-mortar industry in order to provide games to resorts. But in 2014, the firm gained approval for online gambling operations from the UK Gambling Commission, allowing them to offer products to clients on the Internet, as well as run their own branded gaming site. If you’ve played a lot of the company’s better-known machines in live venues, you’ll know that they have partnered with a number of well-known brands to create machines, such as Deal or No Deal and rock band Queen. You won’t find these same titles offered by the group online, though they have created a small number of new slots that have made their way to the virtual world. Bell Fruit is a relatively new entrant into the world of online gambling, and they have produced only a handful of machines that can be found at a scant few Internet casinos so far. Complicating matters further, they often release their games with or through Novomatic, blurring the line between what is strictly theirs and what is offered through the parent company.  For instance, the site that carries their own name – Bell Fruit Casino – is powered by Novomatic’s games, not anything they crafted themselves. Dragon Rolls: This five-reel, 15-payline machine features a strong Chinese theme, combining classic slots gameplay with a dice-based set of symbols. A total of three bonus rounds give players several different ways to win, including both free spins rounds and a special Dragon bonus that offers the potential for the largest prizes. Bar 7’s: The most classic of classic fruit machines, Bar 7’s is a three reel game with a single payline that features traditional symbols like cherries, bells, and sevens. However, this title also includes the important features that distinguish fruit machines from a typical slot: there are nudges and holds available to players, allowing them to exercise just a little strategy and decision making while they play. Pieces of Eight: In this pirate-themed game, you’ll be set with matching weapons, coins, and villainous pirates across the 20 paylines in the game. One notable feature is the compass wild, which not only helps complete winning lines, but will also turn one of the adjacent symbols wild as well. A bonus round has you opening treasure chests to unlock a series of instant prizes to add to your line winnings. Cops ‘n’ Robbers Safecracker: As the title would suggest, there’s a bit of a “cops and robbers” theme at play here, though it is a very cartoonish one that mixes the traditional “poker rank” symbols with officers carrying clubs and giant sirens. A fun criminal line up bonus round does spice things up a bit, and you can also win extra money by entering the pick’em Safecracker round. Reel Cash: Reel Cash may be the simplest five-reel game on the market today. A very minimalist design is paired with the most basic of symbols in order to provide a game that has few surprises, but is more than good enough for a quick fix. The result is actually quite appealing visually, especially if you’re used to online titles that look extremely busy on your screen. Little Devil: This game melds slot machines and pinball through a clever bonus round. As you play Little Devil, you’ll find yourself collecting balls that can be used in the special feature, which is triggered based on a clock that continuously counts down while you play. When the timer hits zero, the bonus round begins – and the more balls you have collected, the more potential you have to win big. None of these games are particularly notable in comparison to the kinds of games that are being released by most major developers these days. In fact, they mostly feel a bit out of date: there’s nothing particularly wrong with them, but not only do they not stand out from the crowd, but they feel a little too simple and graphically unimpressive compared to what most of the competition now puts out there. In addition, while there are more games available from Bell Fruit than what we’ve mentioned here, the selection is rather limited: the firm’s online offerings include only about a dozen slots, far behind the kind of prolific business they’ve done in the real world. The firm is also slots-only, meaning you won’t find video poker, table games, or complete casino solutions coming from them, at least at this time. Bell Fruit is still an important player in the brick-and-mortar world, and we expect that will continue to be true for a very long time to come. But that success hasn’t yet translated to the Internet, where they are no more than a tiny contributor to the industry. It would be easy for the typical online gambler to not even realize the company had any web-based games to offer. We imagine that this is largely due to the developer being overshadowed by its parent company. With Novomatic relying almost exclusively on Greentube for interactive gaming support, anything produced by Bell Fruit is at best an afterthought for their online operations. While this could change in the future if the developer is given the opportunity to port some of their land-based favourites to the virtual market, we don’t see any indication that this is happening in the near future, and for now, players shouldn’t worry too much about finding a site that incorporates the few online games they have provided.